Queensland’s Fraser Island has so many nowhere-else-in-the-world experiences and oddities going on there that we had no qualms in including it this year. 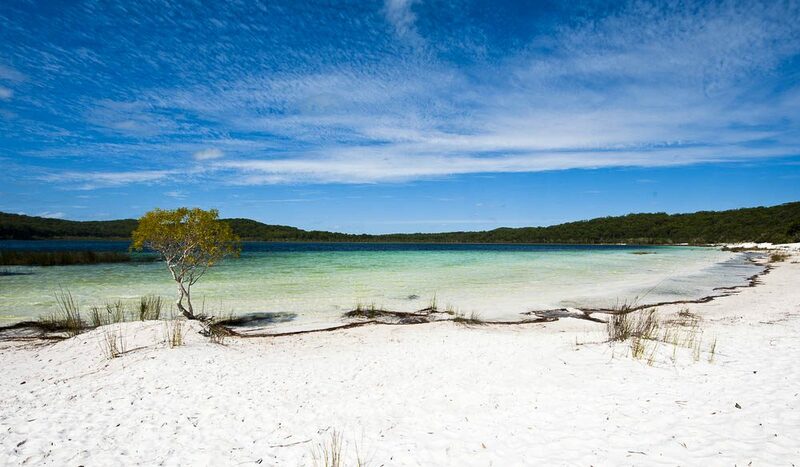 Queensland’s Fraser Island has so many nowhere-else-in-the-world experiences and oddities going on there that we had no qualms in including it this year, despite its dingoes, lakes and 75 mile beach already making prominent appearances on the 100 Things To Do In Australia Before You Die. At 1630km2 it’s the world’s largest sand island. It contains half of the world’s freshwater perched dune lakes. It’s the only place in the world above elevations of 200m where tall rainforest grows directly on sand dunes. It has possibly the world’s cleanest freshwater lakes, with beach sand so pure you can wash your hair and clothes with it. It’s one of the few places in the world where the main beach also serves as a highway and a runway. The purest strains of dingo in the world call Fraser home. Some incredibly rare endemic ferns grow there, it boasts more than 350 bird species and the world’s biggest perched lake, Lake Boomanjin, and it became a World Heritage-Listed site in 1992. No wonder. Did you know? 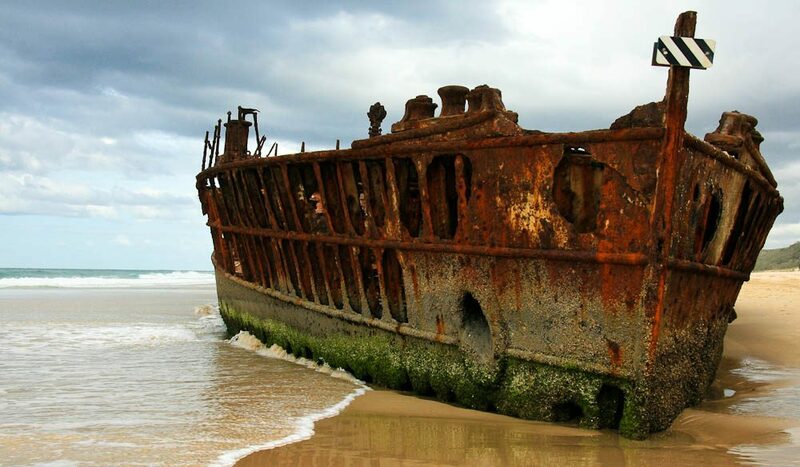 // Fraser’s famous landmark, the wreck of the Maheno (above), which fell foul of the island in 1935, was used as target practice by RAAF bombers during WWII. Today you can’t even climb on it, let alone drop a payload of munitions on it.